Saturday 24th March – SCARS & 4 Paws are bringing the global sensation the “Furball” back to the Sunny Coast. Its on again!! 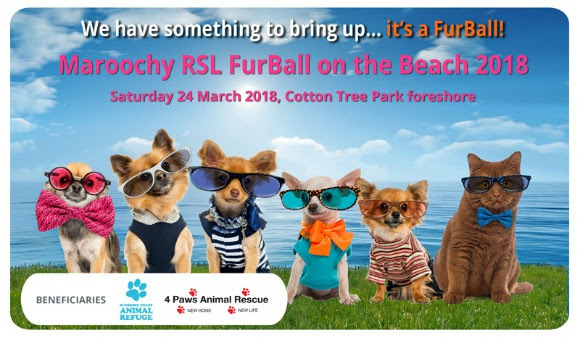 After the success of our 2017 Furball on the Beach we cant wait to see you at the 2018 Maroochy RSL Furball on the Beach. Tickets on sale now.